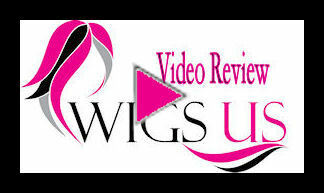 Shania by Wig America – Don't go throughout your days with a look you've owned for years. It's time for a change of pace. A refreshing new style that you can be proud to own, and wear wherever you go. The Shania by Wig America can be just that. Your inspired new look. Soft, synthetic fibers sit atop an average size, adjustable cap. High quality you can always count on. Never concern yourself with hair loss, or discomfort while wearing the Shania. Your head remains comfortable at all times when wearing this wig. The adjustable strap inside the average size cap makes sure of it. Loose curls fall down to the shoulder, and long bangs hang in front of you. Sweep them to the sides if you'd like. This mid-length layered cut is exactly what you need in your life. With a partial skin top, the hair can be styled accordingly to suit your needs. 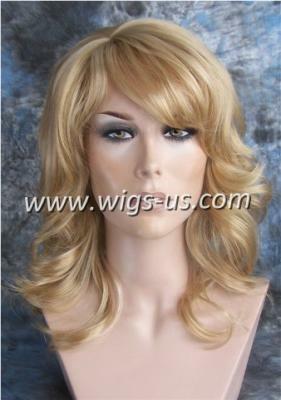 At the price we're offering, the Shania by Wig America is the perfect option for any woman.